I know I proposed the meetup on April 11th but I just found out I have to travel to NYC and will be out-of-town that weekend. I'm going to be music directing a one-woman show in an off-Broadway production that week so I'll be in NYC from April 9th to the 15th. You're still welcome to meet at Alder Lake on April 11th. I might also propose an alternate date: Sunday, May 3rd. What does everyone think? How's it going guys the wife and myself just recently moved to Seattle from Phoenix az. I am definitely down for some light wheeling as of now until I get accustomed to the terrain. As well as joining a club if anyone wants to start one. I'm in edmonds. Hi guys. i'm from a north Seattle. Does somebody need parts from 99 blazer ? 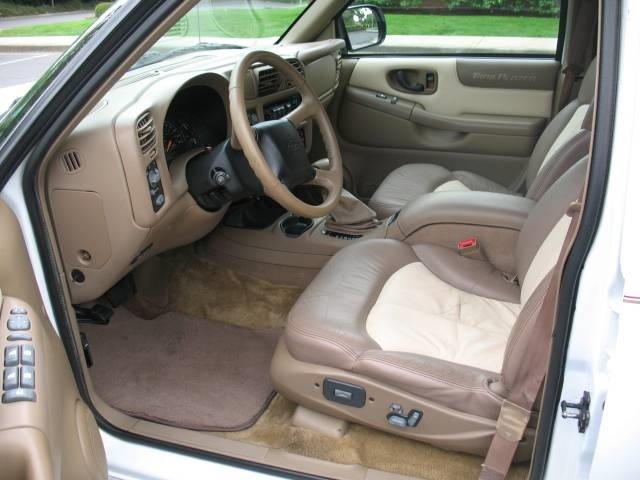 it has good leather interior, chrome aftermarket step bars and other parts. It's a loaded trailblazer package. only 105 000 miles. Blown head gasket.. Here in Beaverton. Any luck on getting a group set up? Quick Reply: Seattle Area Blazer folks?? ?